Environmental alert! Food comes from earth, air and water! Who knew? lI'm just going to come right out and say it: Food is the most important topic in the world. We can probably do without Netflix, war, overnight trains, hang gliders, Fox News and knickknacks. But food? And now that more than a handful of stalwarts are actually focused on doing what it takes to avoid turning the entire earth into a blustery, toasted crisp, we're finally, maybe, going to get somewhere. Let me explain. Talk about your ah-ha moments. The wrong chemical got into wheat raised in China, and so the gluten mixed into pet food just killed your cat. Yep, we're all connected. We can no longer pretend that our society, our government, our food system will keep us or even our pets reasonably safe. The notion that food is--for us, at least--plentiful, cheap and inviolate is pretty much bogus on a whole lot of levels. And the really dirty secret is that some of the older folks in our community on limited incomes sometimes rely on that same cat food for, well, lunch. So what now? 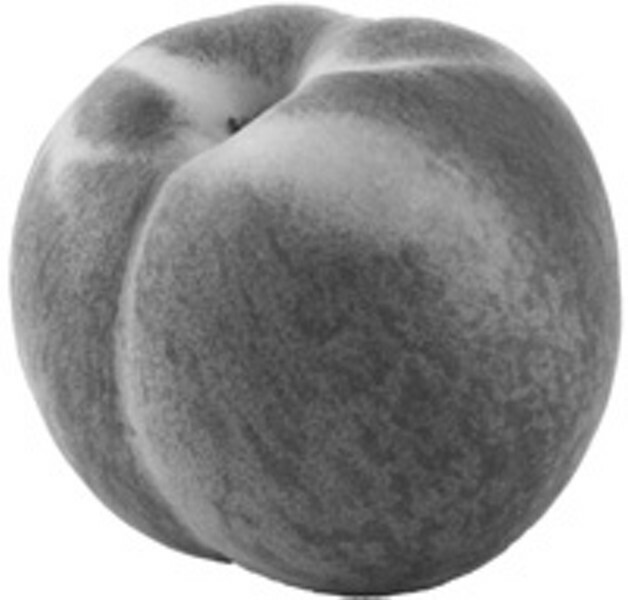 Can a formerly puritan nation understand the value of a ripe, in-season $3 peach? Will Wal-Mart magically make even organic food cheap (while continuing to sell those really ugly shirts--and, in some places, guns and taxidermy)? To better understand the dynamics that seem to confound us, we need to remember that those original American pilgrim Puritans did a lot of bingeing and purging. Not the Hollywood into-rehab kind, but bingeing on the bounty, the plenty of harvest followed by abject repentance and short bouts of abstinence. We're a conflicted lot. Post-World War II, Americans wanted to be cozy and safe (that word again) and to feel like we were on what used to be called "Easy Street." A lot of government programs, many of them well-intended, were put in place, and megabusiness fiddling got underway. The result? Such innocent crops as corn went from enjoying price supports to causing rampant national obesity. Experts and pundits (not always the same folks) increasingly agree that the big companies make foods full of cheap, empty calories that fail to satisfy, get marketed to us like gangbusters and leave us fat, undernourished and sick. Yum. Now there's talk that schools may be pressured to feed our kids in accordance with the USDA Food Pyramid recommendations for healthful eating. Wait a minute--they weren't already using it? There must be pressure applied for schools to consider health and nutrition when feeding kids? How is this possible? There's talk that inspection of imported food from China, South America, India and other places may not always be sufficient to ensure our safety. Like we don't already know that when even the family cat isn't safe. There has been a lot of talk. What we need is sensible, intelligent action. At a public conversation that I recently mediated with a couple of Dans--Dan Imhoff, who wrote the very good book Food Fight: A Citizen's Guide to the Farm Bill, and Dan Barber, the chef and director of New York state's innovative Stone Barns Center for Food and Agriculture--they were asked what folks can do as individuals to get a better Farm Bill, to get better food policy and so to get better food. The answers were reassuring and shocking in their logic and simplicity. Write, e-mail and call your representatives and ask for better policy. Demand better food from your local grocery store, discount palace or corner convenient spot--soon, before you're sick. Choose your food more carefully. That's your body you're plowing it into. Buy at the farmers market in your town. Vote with your dollars and hungry mouths. Buy good food. Ignore that other stuff. So simple. Such basic, common sense. We want to feel secure and confident. That's one reason why, while many things at, say, Whole Foods Market are quite good, we want to believe--and they want us to believe--that all of it is wonderful, glowing and pure. Imagine my sad amusement when I saw the local Whole Foods recently sporting big, blue, environment-clogging, bird-killing balloons aloft with C02 in time to celebrate Earth Day! This green-earth, good-food thing is no fad. A thoughtful, multidimensional approach to food, where it comes from and how the entire cycle works with all other parts of life, is going to be front and center for a long time to come. It came from our earliest awareness that eating was all about staying alive. We realize, once again, that our own survival and that of the entire planet is fundamentally connected to almost everything we do when we act to ensure we have something good, safe and wholesome to eat, drink and breathe. We can be happy about it. We can celebrate and do good at the same time. We can feel warm and fuzzy and affectionate (after all, they're called tree "huggers," not tree preservers or tree admirers or something) about our efforts, and we should--once we've given our kids and each other something delicious and nourishing to share across the table. It's all a more modern, adult version of what we once called "farm-fresh," back when that phrase often really meant something. It's a complex but not-so-complicated notion that's rich, multidimensional and deeply gratifying when you get it right. It's good eating and good business, too. Happy belated Earth Day. Have a nice lunch.